Adapting to the latest accommodation trends in Bali, The Vira Bali is a balinese boutique hotel, beautifully designed with comfortable rooms and excellent facilities. 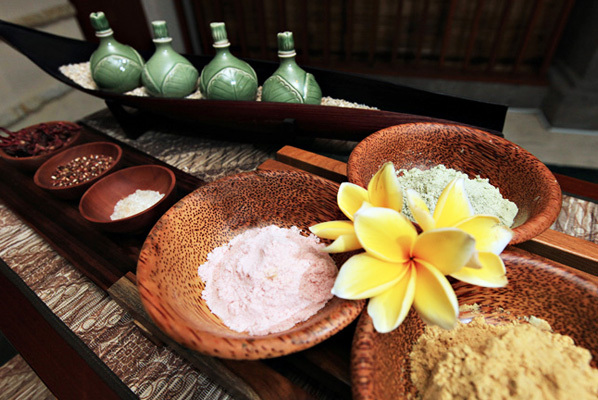 It successfully combines modern and minimalist style with gentle Balinese hospitality and manages to create a pleasant and welcoming environment for your holiday escape. 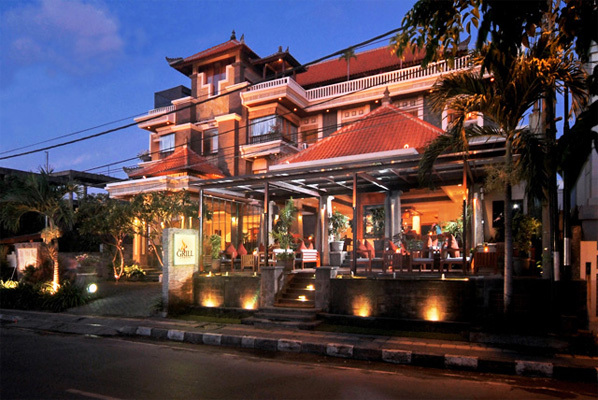 Conveniently located at Kartika Plaza street, South Kuta Beach, the Vira Bali hotel is only a few steps away from all the excitement that Kuta has to offer. An exciting array of restaurants, cafés, fashion boutiques, a beach front shopping mall, water park and the stunning Kuta Beach with its famous sunset are just at its doorstep. 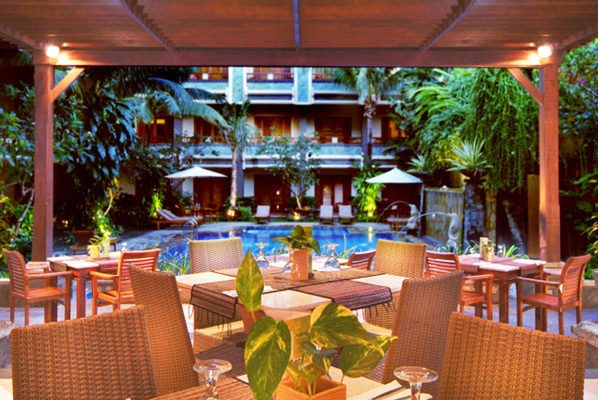 The Vira Bali Hotel boasts 56 well-appointed Boutique accommodations, comprising four Suites, Deluxe Pool Access Room, Deluxe Rooms and Superior Rooms. There are double and twin rooms and eight sets of interconnecting rooms, perfect for families or groups. 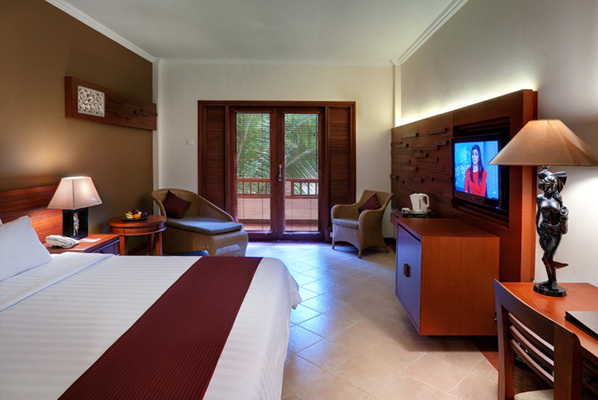 All rooms & suites have private balconies overlooking the outdoor pool and Balinese garden. Decorated in a chic tropical style, along with crisp bed linens, mini bar, complimentary coffee and tea making facilities, as well as in-house movies and a comfortable bathroom with all the trimmings. 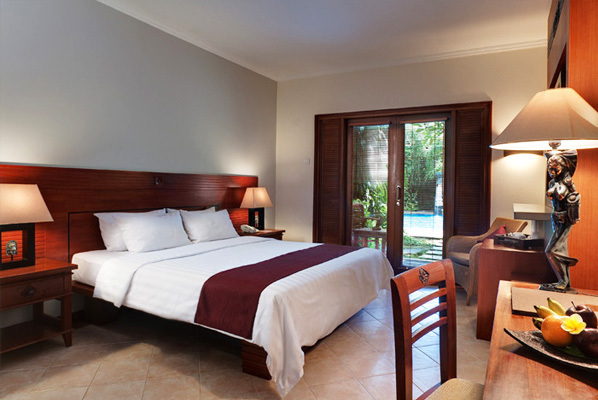 Superior Room : Located at the second floor overlooking to the swimming pool. Room size 35 square meters, private balcony. Bedding type 1 king size bed or 2 single beds. Number of person in the room is 2 adults + 1 children OR 3 adults, with additional 1 extra bed. Deluxe Room : come with an additional sofa bed. 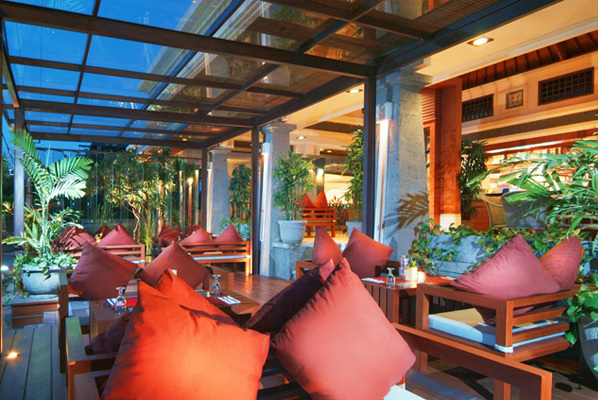 Located on 3rd and 4th floor overlooking to the swimming Pool. Room size 38 square meter, private balcony. Bedding type 1 king size bed or 2 single beds. Number of person in the room is 2 adults + 1 child OR 3 adults, with additional 1 extra bed. Deluxe Pool Access Room : direct access to the pool from your terrace. 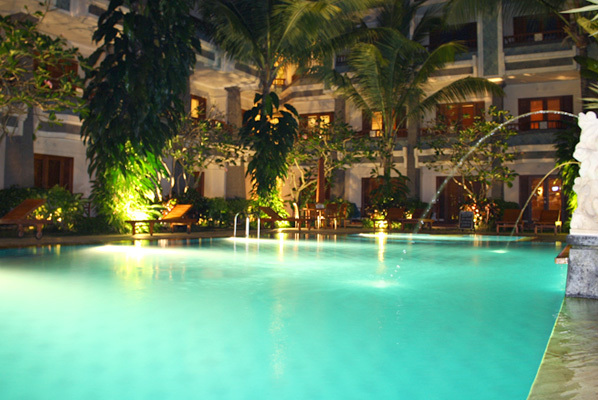 Located at the ground floor with terrace and direct access to the pool. Bedding type 1 king size bed or 2 single beds.Number of person in the room is 2 adults + 1 children OR 3 adults, with additional 1 extra bed. 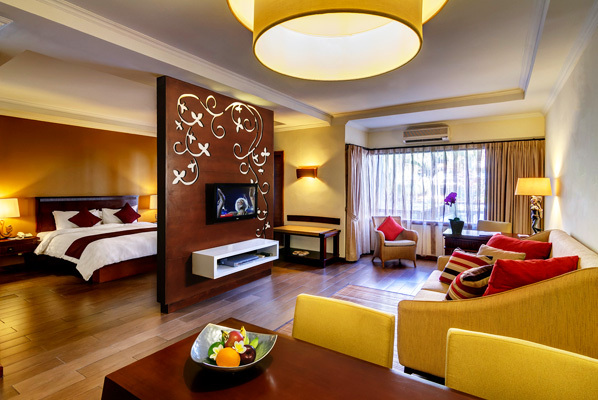 Suite Room : come with an adjoining living room and dining area for greater comfort and in-house entertaining. The living area includes an extra TV and DVD player and a sofa, while the dining area comprises a four-person table and chairs, a family-sized fridge, a sink and a cupboard stocked with cutlery, crockery and glassware. 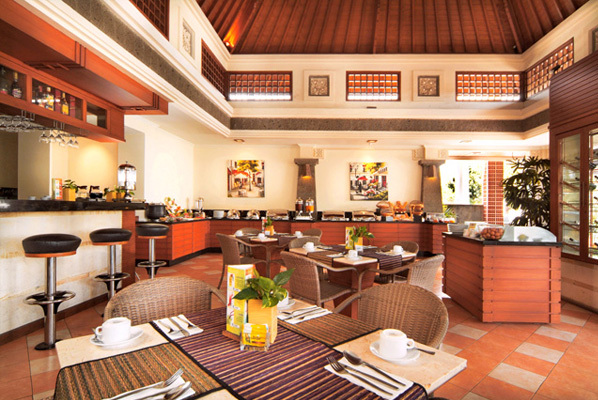 Located on 2nd and 3rd floor overlooking to the swimming pool. Room size 61.66 square meters. a shop selling a range of quality Balinese handicrafts and home wares. Free WiFi is available in the room and the entire hotel area for you to stay in touch with your loved ones and friends.